Another newer product. 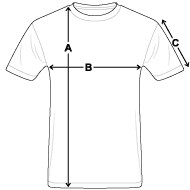 It is a standard tee that has a group shot on the front. The shirt features a cool shot from Tampa's own Curtis Hixon Park near the UT campus, highlighted by the cool ground lighting. Show off your favorite band with this fantastic tshirt. Tags: Another newer product. It is a standard tee that has a group shot on the front. The shirt features a cool shot from Tampa's own Curtis Hixon Park near the UT campus highlighted by the cool ground lighting. Show off your favorite band with this fantastic tshirt.